A late goal by JJ Greer proves the difference as Colorado Springs Switchbacks FC defeat Sacramento Republic FC 1-0 at Switchbacks Stadium. Sacramento Republic FC started the match very strong, seeing their first real chance on goal just 30 seconds in to the match. Midfielder Danny Barrera received the ball near the top of the box after Republic FC won the ball away in the Switchbacks half. Barrera took a few touches forward before sending a grounded shot toward the back post. Switchbacks goalkeeper Devala Gorrick was able to get down to his side quickly however and knock the ball away, keeping the match scoreless early. 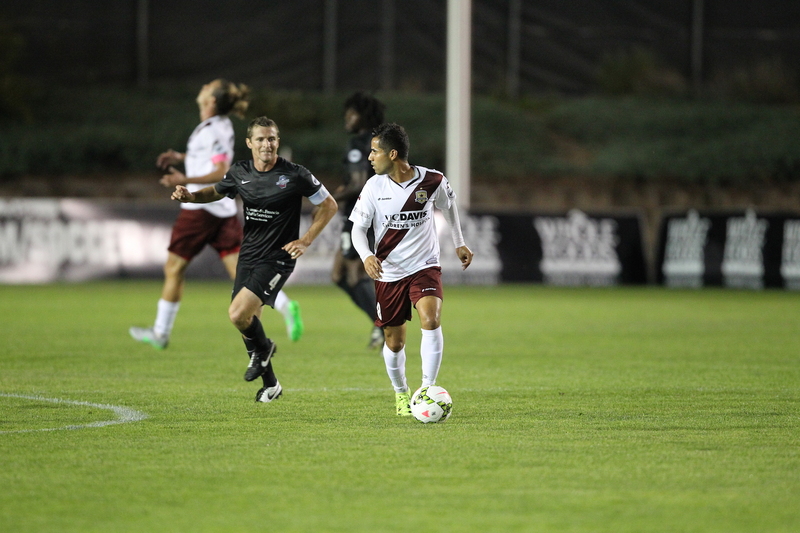 The Switchbacks controlled the possession after the early chance for Republic FC. Despite the large possession time, the Switchbacks first strong chance on goal came in the 35th minute. Defender Josh Suggs ran the ball down the middle of the field before sending forward Marty Maybin through with a great pass around the defense. Maybin looked to be in but a sliding Derek Foran deflected his shot before Republic FC keeper Evan Newton punched the ball away from danger. Republic FC had their strongest look on goal in the 39th minute. Forward Cameron Iwasa had the ball in the middle of the park before lofting a pass over the defense to substitute midfielder Max Alvarez who had beat the offside trap. Alvarez then went one-on-one with Gorrick but the onrushing goalkeeper was able to disrupt Alvarez enough as the midfielder’s chipped shot landed just outside the right post. The best chance of the half for the Switchbacks came on the last play of the first half. After a missed clearance by Republic FC, forward Mike Seth played the ball into the middle to fellow forward Miguel Gonzalez who was streaking along the top of the box. Gonzalez touched the ball forward before sending a left-footed strike toward the upper left corner of the goal, but Newton was there as he sprung high and to the left to block the shot away and keep the match scoreless at the break. 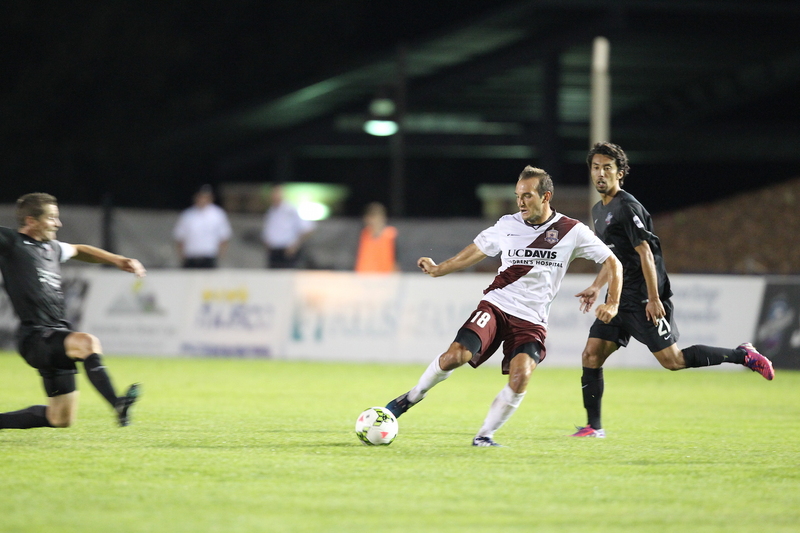 Republic FC came out as the aggressor in the second half and controlled most of the possession. In the 68th minute Republic FC had their first strong look of the second half. Iwasa played the ball down the left side of the box before sending the ball back toward the middle. Alvarez touched Iwasa’s cross down to defender James Kiffe who was making a run down the middle of the box. Kiffe’s ensuing left-footed shot would curve just high and wide of the right corner of the goal however, keeping the match tied at 0-0. The best chance of the half for Republic FC came in the 79th minute. Substitute forward Mackenzie Pridham took the ball down the right side of the box before beating his man on the dribble, setting up a one-on-one with Gorrick. Pridham charged the keeper before sending a rocket toward goal, but a sliding Gorrick was able to deflect the ball off his right shoulder and away from danger. The Switchbacks would finally break the deadlock in the 83rd minute. Substitute forward Aaron King ran down a long ball before taking a shot that Newton deflected away for a corner. Suggs took the ensuing corner and sent it toward the back post. Defender JJ Greer was waiting at the back post and sprung up to meet the ball, sending a powerful header toward the top left side of the goal. Newton was able to get a finger on the ball, but the header was too powerful and sailed into the back of the net, giving the Switchbacks a 1-0 lead. Despite a valiant effort in the final minutes, Republic FC was unable to find an equalizer giving Colorado Springs the 1-0 victory. Republic FC will continue their five-match road stretch as they travel to Vancouver to take on Vancouver Whitecaps FC 2 on Sunday, July 24. Kickoff is 2 p.m. at Thunderbird Stadium on the campus of the University of British Columbia. The match will be streamed live at SacRepublicFC.com/matchday. Colorado Springs, CO. – After an hour and twenty minute lightning delay, Republic FC wasted no time in making a strong offensive statement, taking the lead in just the 2nd minute. Midfielder Danny Barrera sends ball from the right side across the top of the box to Thomas Stewart who took a strong left-footed strike past a diving Devala Gorrick and into the upper left corner of the goal, putting Republic FC ahead 1-0. 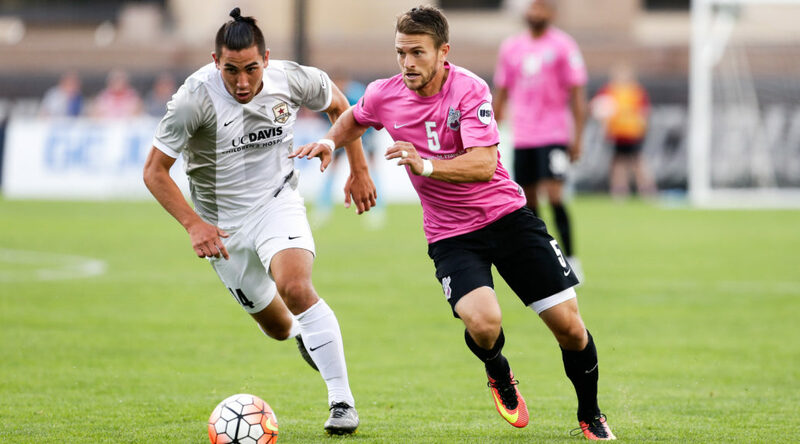 Switchbacks FC answered back quickly after Republic FC defender Nemanja Vuković was given a yellow card for a handball in the box in the 19th minute. Switchbacks FC midfielder Luke Vercollone stepped up to the penalty spot in the 21st minute and sent a hard shot into the upper right corner of the goal and past Patrick McLain, who dove left. Switchbacks FC took the lead in the 38th minute after forward Mike Seth threaded a ball past the offside trap to a streaking Vercollone. The midfielder went one-on-one against McLain and after the keeper dove to his left, slotted home a goal, putting Switchbacks FC ahead 2-1 going into the half. Republic FC came out attacking in the second half, but it was Switchbacks FC who would strike again in the 78th minute. Vercollone took a strong shot at the top of the box, but had his shot blocked. The rebound bounced perfectly to Chandler Hoffman on the right side of the box. Hoffman then sent a low shot to the left corner of the goal and past a diving McLain, putting Switchbacks FC ahead 3-1. 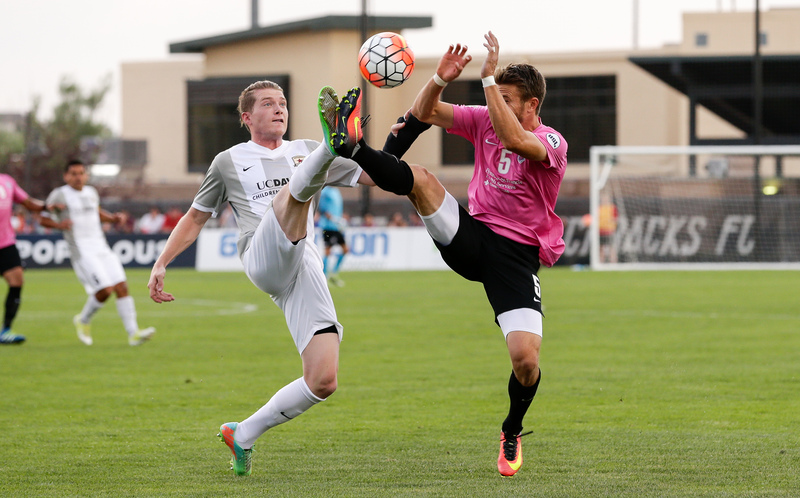 Republic FC was not done however, and in the 82nd minute pulled within a goal. Substitute defender Derek Foran protected the ball in the middle of the box before passing the ball to his right to fellow defender Mickey Daly. Daly sent a one-touch rocket past Gorrick. making the score 3-2. Near the end of regulation time, Switchbacks substitute forward Davy Armstrong was sent off after a hard tackle and the ensuing scuffle. Republic FC, now up a man, took advantage soon after, and a minute into stoppage time an Ivan Mirković long ball into the box found its way into the top right corner of the net, equalizing the score 3-3. The goal was Mirković’s first as a member of Republic FC. Republic FC goalkeeper McLain recorded nine saves on the night, a franchise USL record. 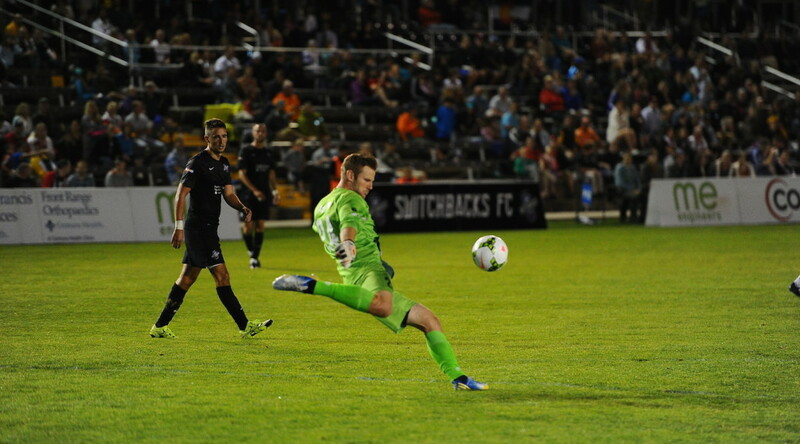 McLain also held the previous record of seven saves, which he recorded against Tulsa Roughnecks FC on June 25. 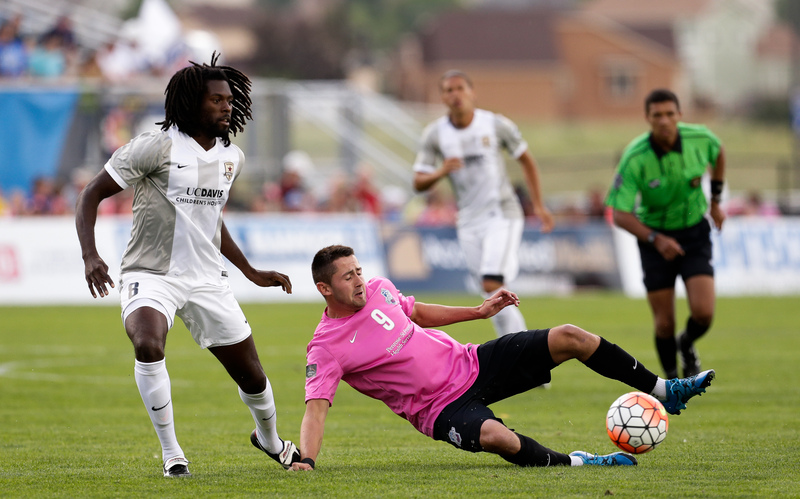 Republic FC return to action on Saturday, August 22, when they take on Real Monarchs SLC at Bonney Field at 8:00 p.m. The match will be broadcast live on CW31. Tickets are still available on Ticketmaster.com.